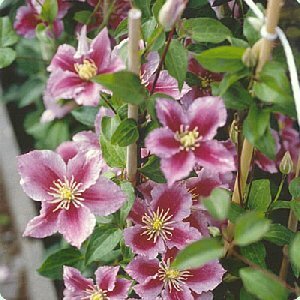 Little Duckling Clematis: small plant fits just about anywhere. on your mailbox or in a pretty container. You will often see photos of Little Duckling with double blooms. Double flowers on this variety are very rare. We saw one. Once. Don't be fooled into expecting them on a regular basis!